Daily Kos compiles presidential results by congressional district for 2008 and 2012. 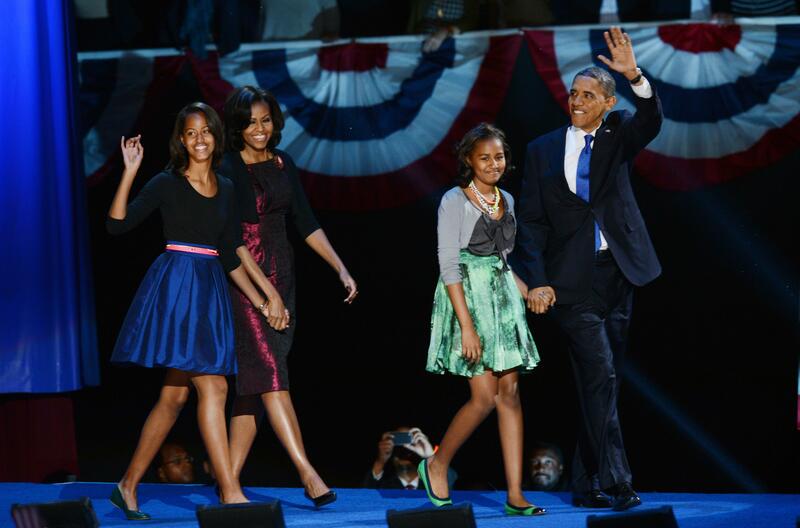 President Barack Obama and family arrive on stage after winning the 2012 US presidential election November 7, 2012 in Chicago, Illinois. Daily Kos has done the Internet a wonderful service over the past five months. Its editors crowdsourced a project to compile the final presidential vote totals in every congressional district. Its readers complied. The straight-up presidential vote is usually a better way of gauging the partisan lean of a district, so we have our best-ever view of what 2011’s gerrymandering hath wrought. Swing States That Republicans Can’t Lose: Ohio went for Barack Obama last year, but the president carried only four of the state’s 16 districts—OH-03, OH-09, OH-11, and OH-13. The average Democratic vote in these districts was 70.75 percent. The average Republican vote in the 12 red districts was 54.04 percent—they’re a collection of suburban-rural areas juuuuust out of Democrats’ reach. It’s the same in Michigan, where the average Democratic seat gave 70.06 percent of the vote to Obama and the average Republican seat gave 52.9 percent to Romney. Republicans on blue turf: There aren’t many; see above for the reason. But there are three Republicans in California whose seats went blue at the presidential level: one in Colorado; two in Florida; one in Iowa; two in Minnesota; two in New Jersey; three in New York; one in Virginia, and one in Washington. If Democrats won all of these seats and nothing else, they … still wouldn’t control the House. That’s for starters. What else do you see as you peruse the map?